Today’s guest has a tattoo that reads, “Follow Your Bliss”, but for her it’s not just a catch phrase, but a credo she lives by. After making it to the top of a career that she had made the center of her life for decades, she decided she wanted something different. So instead of playing it safe and riding out the rest of her tenure, she chose to do something brave and bold. She reinvented herself and her career, and in doing so she reinvented what’s possible. 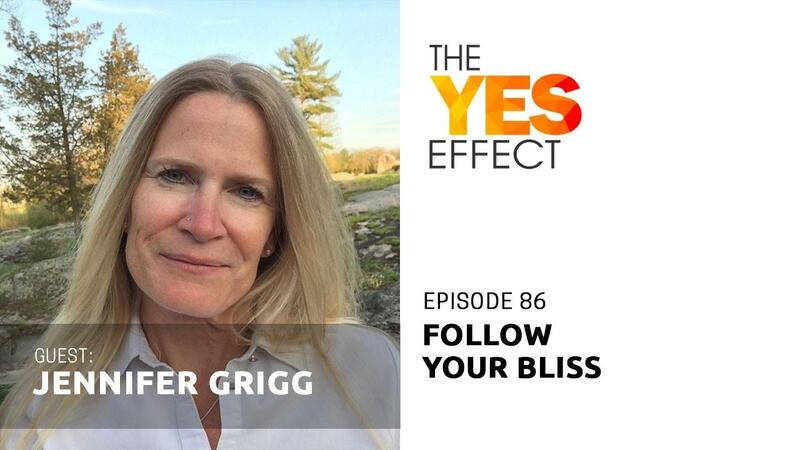 Her name is Jennifer Grigg, and this is The YES Effect Show!